I ALREADY KNOW I WANT IT! but clarity, confidence and the right guidance to grow it to where it needs to be is definitely something you could use more of, right? And frankly, this whole entrepreneurial thing is a bit harder than you expected, isn’t it? You wake up and feel excited about the day and then realize you don’t know what you need to do to move forward? You say yes to the wrong people and things and then they make you constantly question your value? You feel passionate and work so hard only to feel like you have to constantly prove that it can work to everyone around you? within months my business was a real business. Ready for the system that finally got me unstuck? When Boss Mom really took off it was because we began to document and distill down the steps and actions that actually worked <<---- To figure out the elusive “secret sauce” that finally did the trick. Odds are you have already started your business, but something just isn't working. You aren't getting the traction or momentum you want. I get it but giving you a solution without having you take a look at what you currently have isn't a good way to start. It would be like going to the grocery store without seeing what you have in the cupboards. You end up wasting money and time. In this module, we will walk through the main components of your business, assess where you are now, where you want to go, and what we need to do and measure to get you there. This will help you make decisions and commit. Learn how to connect, excite and inspire your tribe into action by clearly defining and communicating what your business stands for with brand words that are authentic TO YOU. Don’t settle for run-of-the-mill marketing when you can stand out from the crowd. 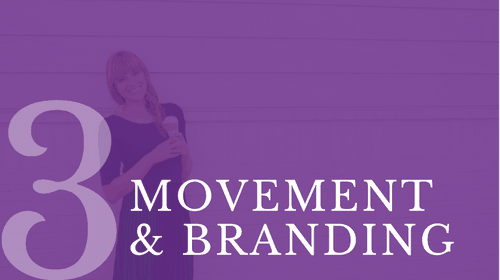 We will not only show you how to uncover your movement, but also the words you will use on everything you create, how to use it to pitch yourself, and how to leverage it to draw people in. This is where we plan out your business routine. We don't want you spinning your wheels hanging out on social media all day and not getting anywhere with your business. 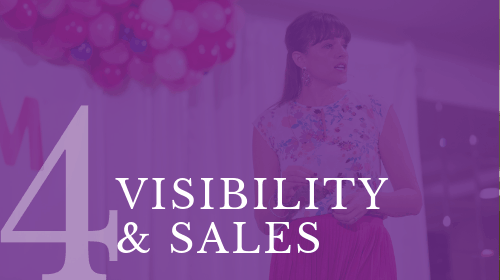 You want to be visible in the right places without wasting time, and you want to be able to get your ideal people on calls and into training that allows you to convert to sales. This module is all about showing you which daily tasks will get you there, and how to actually be visible and sell when the time comes. People buy from people they trust and being clear and focused on what you offer and how you offer it can make the difference between no clients and a waiting list. We walk you through how to structure your 'done for you' services, group programs, and courses. And you better believe that I won't leave you hangin when it comes to course creation. We show you how to create a course check out the launch bonus that will show you how to ensure your course sells. Master the strategic steps of taking your ideal clients from consuming the free (yet, clearly amazing) content you provide to becoming full-blown (and continuous) paying clients. You’re in this to make money after all, right? So stop wasting time, money and brainpower creating content that doesn’t convert into $$$! 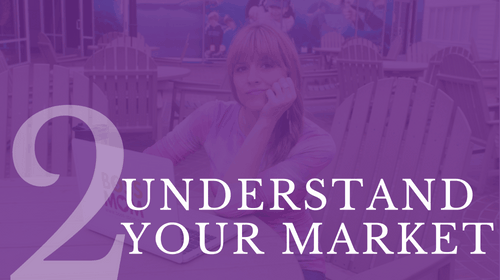 Plus, the what, why and how of sales funnels that you need to understand. We’ll walk through the irresistible opt-in, must have email sequences, and the right tech tools (think countdown timers and automation!) so your sales funnel is bringing in the bucks for you day in and day out. I'M ALL IN...IT'S TIME TO RAISE MY BUSINESS! 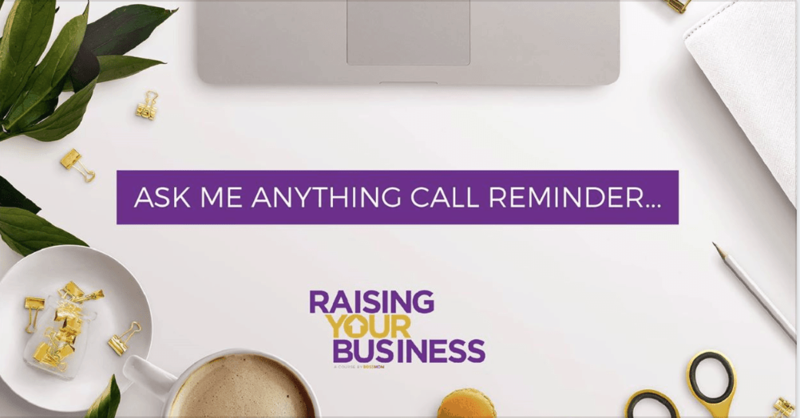 Raising Your Business™ is more than just another great program with effective business advice (though, of course, it IS that too!) Instead, RYB surrounds you with people that get “YOU” that means you need to know if I attract your kind of people. So, if we haven’t already met, I’m Dana! I’m a mom of two, author, podcaster, business and content strategist, blind spot reducer and movement maker living in sunny San Diego, CA. A few years ago I started Boss Mom because I was sick of feeling guilty for wanting to nurture a family and raise my business at the same time. Was it possible to still be a good mom if I didn't want to stay home and be with my kids 24/7? Could I run a successful business if I had a family that needed me? Um, yep, I most certainly could… and so I did. I believe that pursuing our passions and staying true to ourselves makes us better at being both a mom and successful entrepreneur. I have written two (soon to be three) books, Boss Mom: The Ultimate Guide to Raising a Business and Nurturing Your Family Like a Pro and the Boss Mom Movement. I recognize that at the end of the day we’re all women trying to be good parents and business owners, yearning to pursue what we love, love who we are, and create something beautiful in this world. And I think that’s pretty spectcaular. Sometimes my best brainstorming sessions take place at a noisy local pub with a cold beer or glass of wine in my hand and a good friend at my side. My kids are hilarious and constantly reminding me of how important the balance is to this thing we call life. They also frustrate me like nothing else sometimes... but nothing good is ever easy. 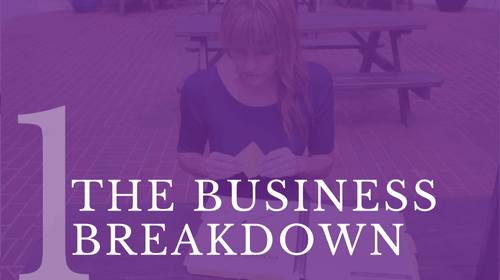 I firmly believe that in both families and business, we need support, resources and connection to be successful… and that’s exactly what I aim to give you in RYB! There have been so many things that have been great about RYB. It’s helped me focus and strategize more effectively. I’ve become more disciplined in what I’m working on rather than jumping from thing to thing. It’s helped me really identify my target market and how to best serve them. It’s challenged me to think and be more creative. Lastly, as someone who loves organization, it’s extremely organized and well laid out so it’s easy to follow. The RYB program is chock full of amazing nuggets that I can put into action immediately. With each module, I end with a list of action steps that I can implement in my business right away. I love Dana’s realness and humor in the videos and how she dives deeper than the surface level of our why and really digs into the passion behind it. The RYB course is great! The convenience of being able to complete it at your own pace and tailor it to your business no matter the industry is fantastic. The added value of the Facebook group allows for feedback on changes you are making by other likeminded entrepreneurs and create long-lasting relationships with them is the greatest bonus! And the items in the vault provide continuous opportunities for learning and implementing new ideas. How does it all go down? Business is a “never stop learning” kind of thing- and so is the RYB 10-Point Path. 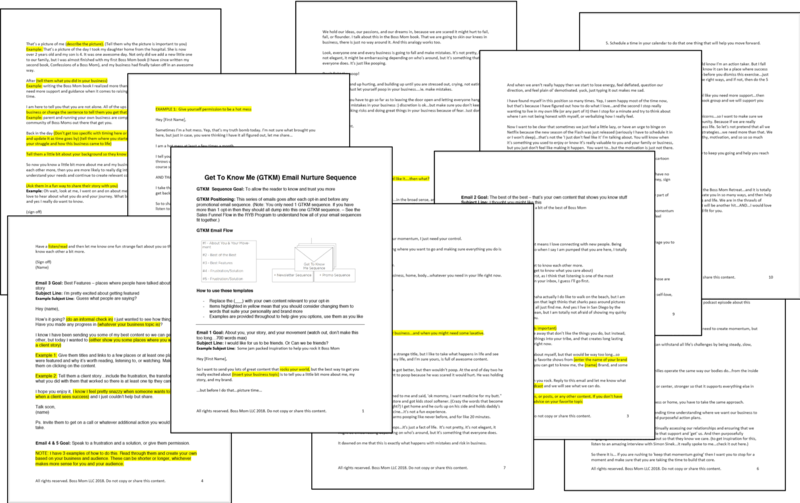 With lifetime access to the video lessons, workbooks, cheat sheets and bonuses, you can keep coming back with each new launch, pivot and milestone in your business. Join our incredible Raising Your Business FB group to connect with other like-minded Boss Moms around the world. Not to be mistaken for our massive (and equally great) Boss Moms group, the RYB community is exclusive, intimate and made up of other women going through the exact journey you are. THIS is your place to ask questions, brainstorm, support and learn from others! Have a Q? Great- ask away during one of our monthly “Ask Me Anything” group calls.This is the perfect opportunity to ask specific questions for your business- and get the impactful solutions you need from myself and other unstoppable women. Just imagine: coaching, brainstorming, and strategizing tailor-made for the hurdles you’re currently facing. Ask and you shall receive because no one gets left out on these calls! Yep- you get it both digitally and in print, so you can access it whenever wherever. From start to finish, each page is overflowing with exciting and valuable “ah ha moments” and brainstorming prompts that will motivate you the entire way through. That’s a value of $14,000+ <<----- And worth every penny. But don't worry, that's not what you have to invest to get access, I just want you to understand what it would cost if someone got this kind of content working with me one on one. 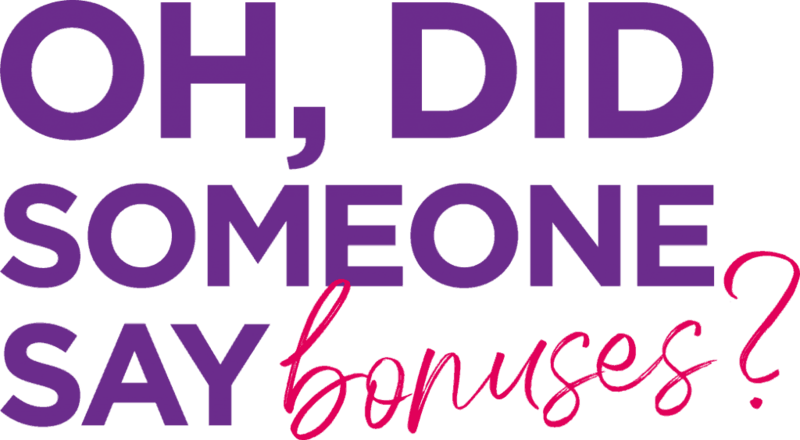 Don't forget that paying in full gets you two awesome bonuses. You bet your bottom…because I just can’t help myself! The core modules of RYB will help you create a sustainable business, but you will also want to launch something new or relaunch something old from time to time and we got you covered. 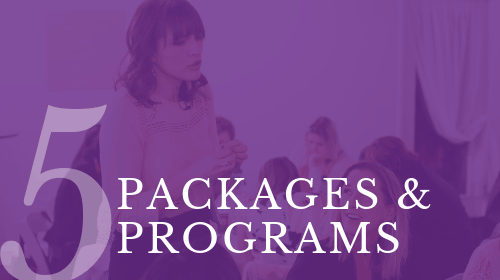 This bonus module includes my launch plan that walks you through the exact process to launch a program out into the world. 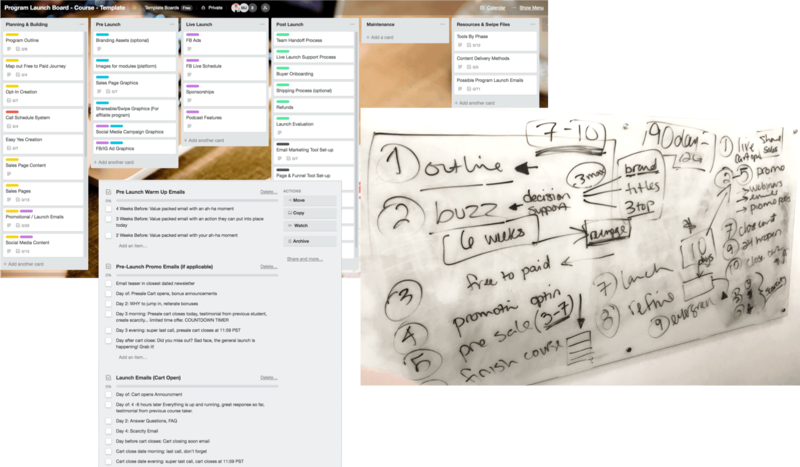 It also includes my launch Trello board project plan so you save tons of time and can hit the ground running. 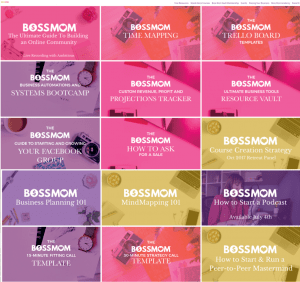 The Boss Mom Vault is our membership site where all of the smaller (yet awesomesauce) courses on sales and marketing live. This includes courses on how to start and grow your own Facebook group, how to run a 15 & 30-minute sales call, my P+L tracker, and so much more… and yes, we are ALWAYS adding more. Why spend your time trying to figure out how to write your sales emails or what goes on your sales pages. Instead, save time with all of my emails and page templates. And we are talking legit templates that only take minutes to customize and schedule. Plus I show you tons of swipe content like Facebook Ad examples and why they work. Oh and don't forget about my sales page and sales video templates. The world of Facebook Ads can be daunting at times- I get it. Instead of thinking you need to know everything there is to know about Ads, we will teach you one method that allows you to easily test your market, find what works, and start getting results. This includes setting them up, creating the right content, testing the content, and tweaking to get your ads that convert. 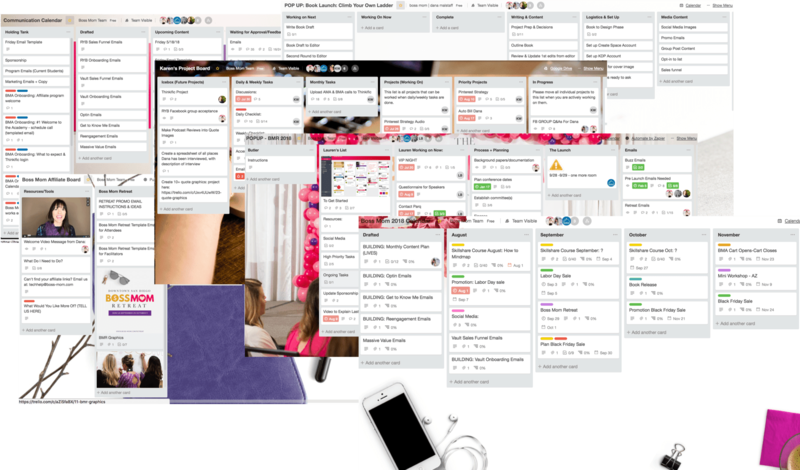 Shhh, don’t tell BUT… we have several Trello boards that we use with clients that are super valuable. Now you can get them (plus new ones we create in the future!) What’s my favorite? Hmm… probably the Launch Board with everything you need to dot your I’s and cross your T’s before launching! I have just started RYB but what strikes me is how the program starts really big picture, by looking at your purpose in life. Your purpose as a PERSON, not just a business owner. This is a nice change from other programs that always start by asking about your “ideal client”. Honestly, I thought the first lesson was unnecessary at first, but it really, really focused and calmed me. Sometimes courses about growing my business make me feel anxious but not this one. It feels like it really reflects ME and that is why I love it!